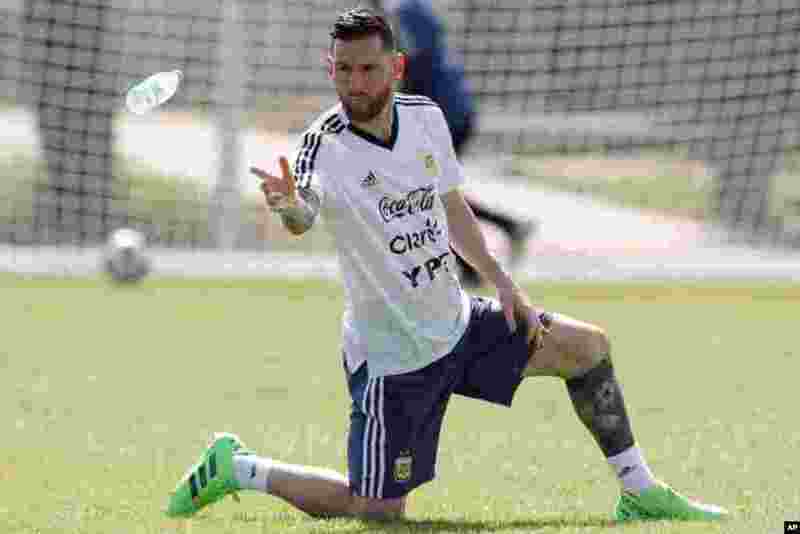 1 Lionel Messi throws a bottle of water during a training session of Argentina at the 2018 soccer World Cup in Bronnitsy, Russia. 2 Eight-year-old Syrian girl Maya and her father, born without legs, arrive to an Istanbul clinic to get prosthetic legs after being evacuated from Syria. Earlier this month, Maya Merhi, 8, who was born with no legs due to a congenital condition, was moving around a Syrian refugee camp on artificial limbs made of plastic tubing and tin cans.But after pictures of her plight, including those taken by AFP in Syria were seen around the world, she was brought to Istanbul for treatment. And her life should be about to change. "Maya will walk," said Dr Mehmet Zeki Culcu, the doctor treating her at an Istanbul hospital. 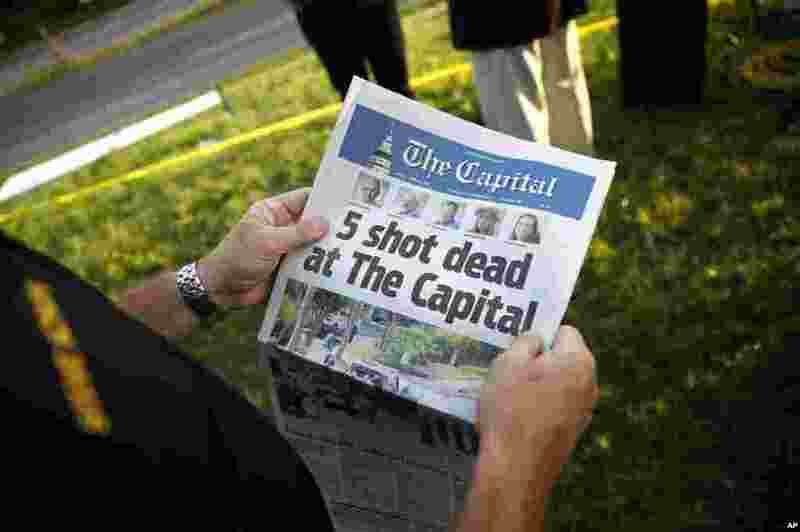 3 Steve Schuh, county executive of Anne Arundel County, holds a copy of The Capital Gazette near the scene of a shooting at the newspaper's office in Annapolis, Md. A man armed with smoke grenades and a shotgun attacked journalists in the building Thursday, killing several people before police quickly stormed the building and arrested him, police and witnesses said. 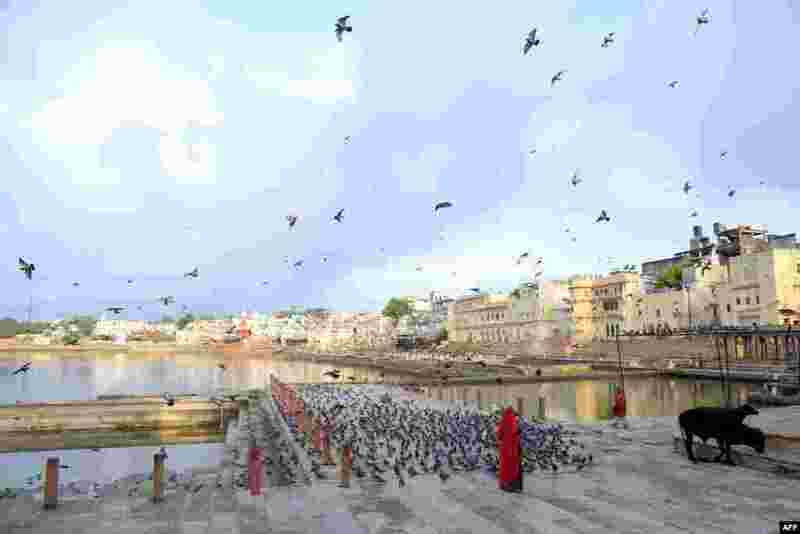 4 An Indian woman feeds pigeons with grain at the Pushkar Lake, in Pushkar, in the Indian state of Rajasthan.